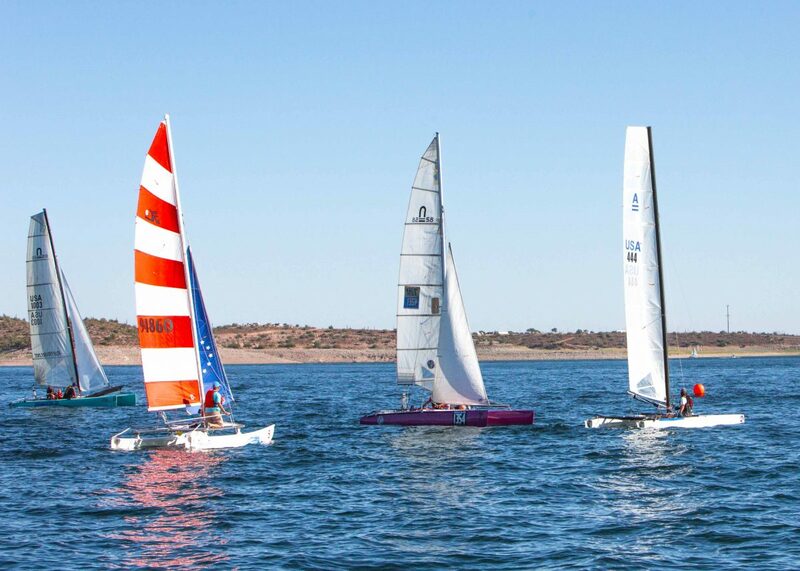 The first weekend of Lake Pleasant racing began with a whimper and ended with a blast: light wind on Saturday gradually got stronger later; the wind was too heavy for racing Sunday morning (and then the steering went out on Wicked Awesome). Despite a strong registration by the multi-hull fleet, the turnout for the weekend was light. The scores are posted on the results page, or you’ll find them here.